Beatrice & partner Ouse Washes, Cambs. Photo Garth Peacock. 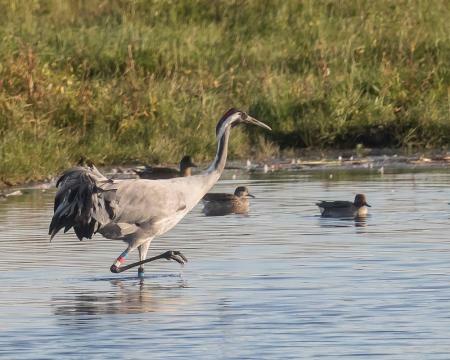 Beatrice - a four and a half year old female crane, released in 2011 left the South West of England in the spring of this year and headed east, along with an unringed crane. 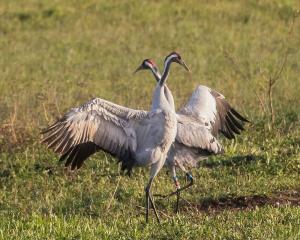 We wern't sure if they were paired up -and over the summer Beatrice was seen with a small group of unringed cranes. However, as summer waned, she was seen more and more frequently with just one of the birds. The other day she was photographed by local wildlife photographer Garth Peacock and it would appear that she has certainly found love! It will be interesting to see what happens now with this pair. Will they remain in East Anglia and start a family - or come back to Somerset? 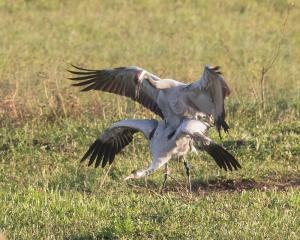 Huge thanks to Garth for sharing his wonderful photos.